Learn more about the easy-to-absorb, well-tolerated nutrition solution for people with GI disorders — PEPTAMEN® tube-feeding formulas. Working with your doctor is the best way to determine which formula makes sense for you. 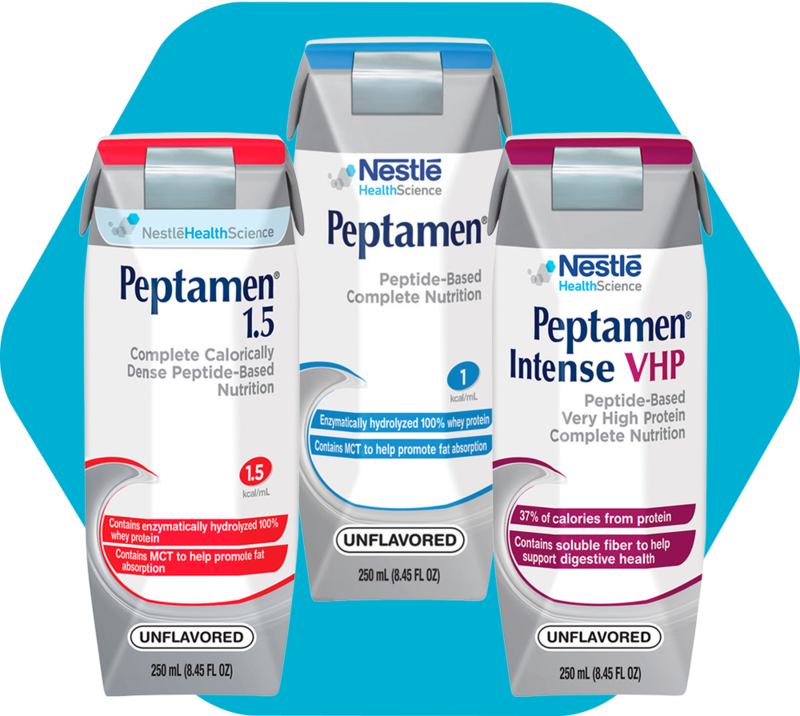 In addition, you can contact Nestlé Health Science to speak with one of our Registered Dietitians to learn more about Peptamen® formulas. We want to help you to be nourish every day. We realize that you may have questions above and beyond the information provided here. Nestlé Health Science is committed to providing you with the resources necessary to answer all of your questions and other informational needs. Call 1-800-422-ASK2 (2752) to schedule an appointment to speak with one of our Nestlé Registered Dietitians to learn more about our nutrition formulas. Please note we cannot provide answers to personal medical questions, including whether Peptamen® formulas are right for you; for these types of questions, you should contact your doctor.